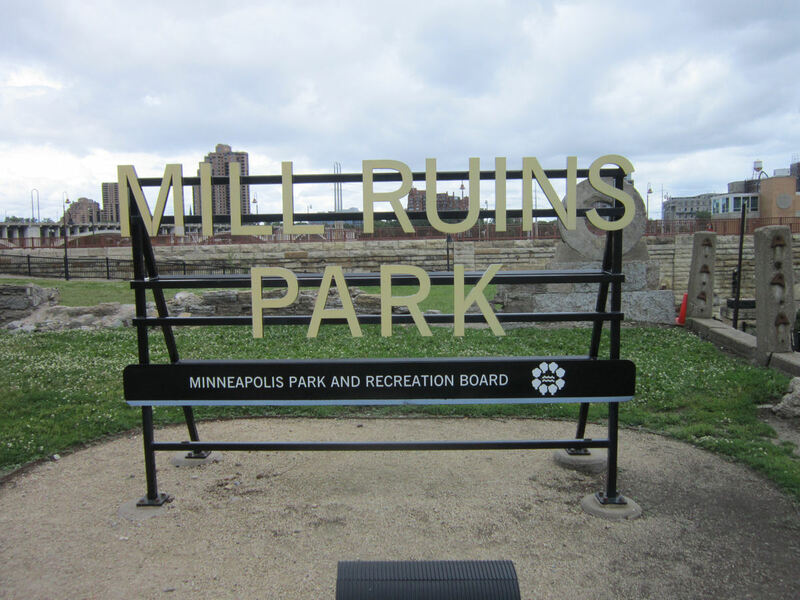 2014 Road Trip Photos #13: Parks & Ruination « Midlife Crisis Crossover! No, this image is not an exclusive sneak peek at the surely jaw-dropping graphics from the upcoming Uncharted 4. 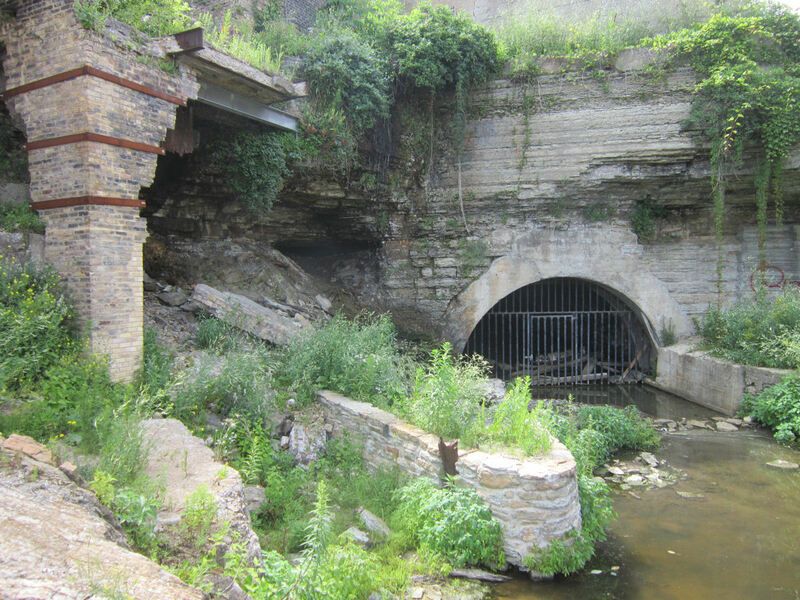 Along the west bank of the Mississippi River in downtown Minneapolis, Mill Ruins Park is a quiet, disfigured little spot where foliage meets wreckage. 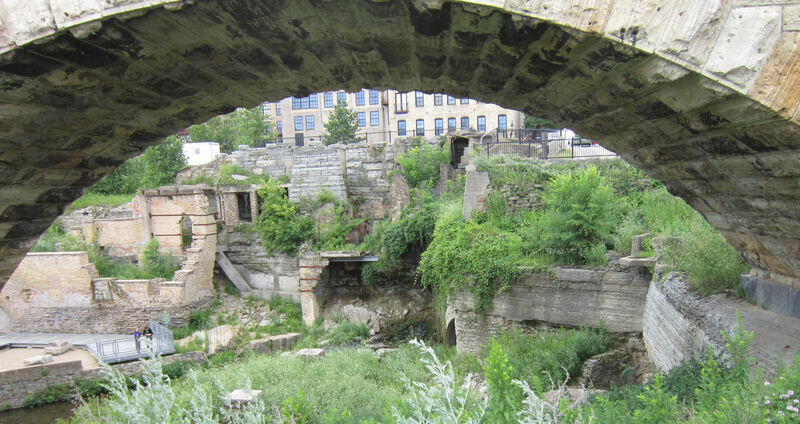 Mill Ruins Park is a stabilized ruin perched between the Mississippi and the Mill City Museum. Unless you do your research and/or approach from the proper street-level angle, you’d think it’s another sad example of abandoned urban blight. Not the case at all. 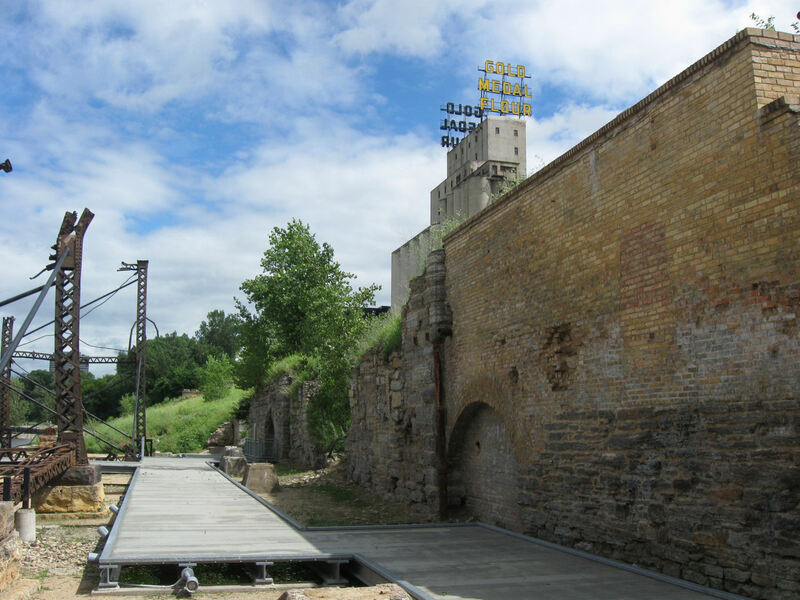 The Park is intentional — stabilized ruins that represent the excavated remains of long-lost flour mills from generations past. Archaeological walking, jogging, or riding fun for health-conscious travelers and the whole family. 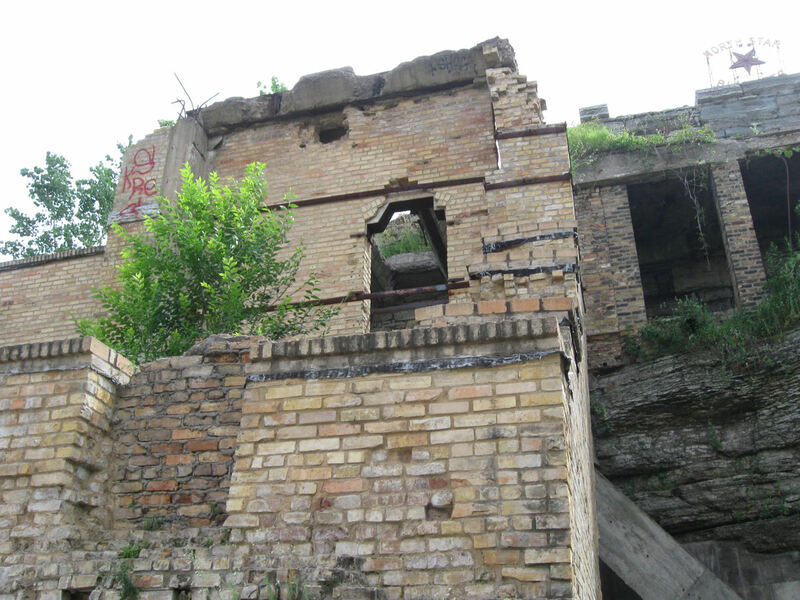 The factory shells that didn’t crumble over time still loom in the background, contextualizing the surviving ironwork and demolished walls. The interiors aren’t what they once were, though. 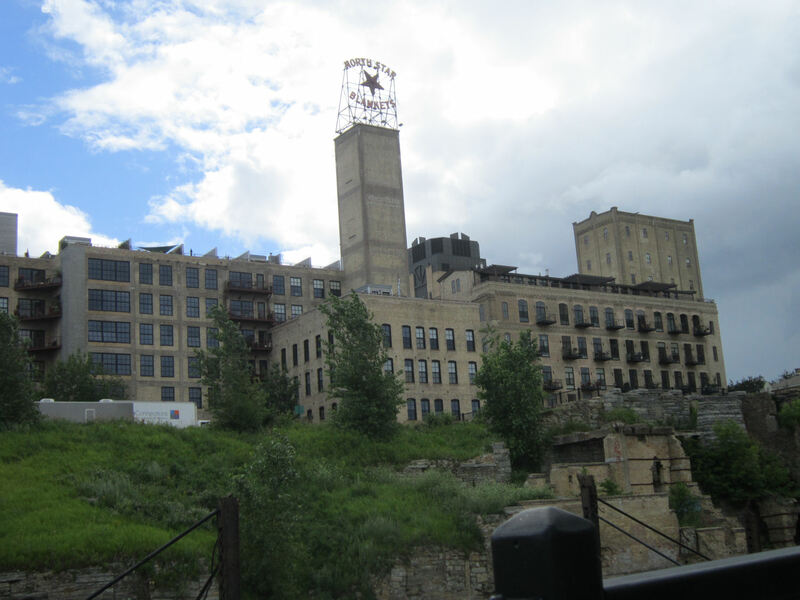 The former North Star Woolen Mill now contains lofts for rent. We could see the anachronistic trendiness of their interiors later as we crossed their back courtyard. 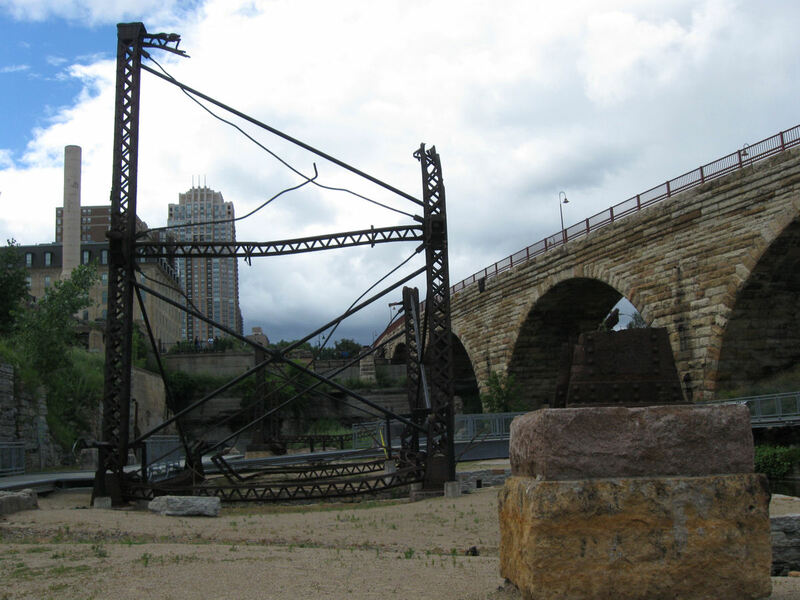 These wrought girders once supported a railroad. Now they’re props for ambiance, gnarled reminders of transportation-that-was. 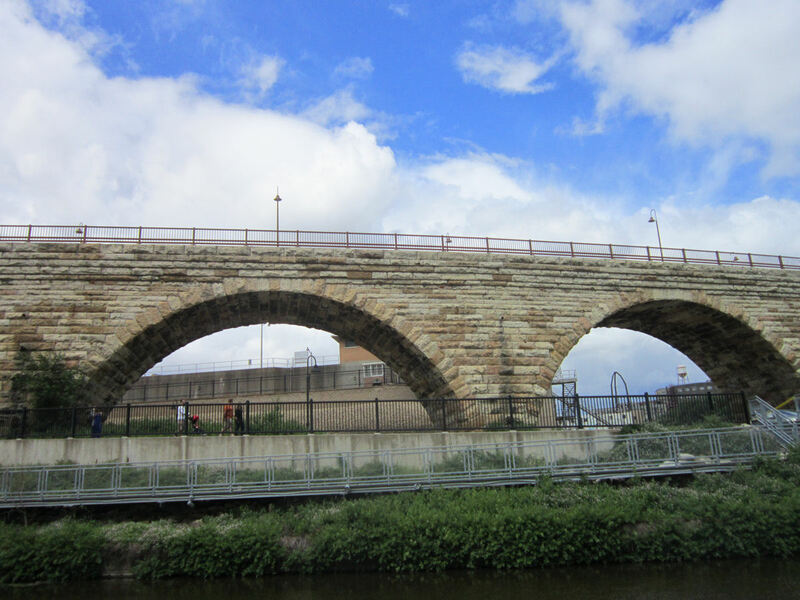 The Stone Arch Bridge runs past the Park and across the Mississippi, allowing a scenic vantage over the river and St. Anthony Falls. Once it was a railway; now it’s paved and clearly demarcated to keep pedestrians and bicyclists to their assigned sides. To some I’m sure it looks like a dangerous playground. Others can view this and mentally stage movie fight scenes all around it. There’s no safety patrol monitoring your children or passing out anti-tetanus pamphlets. Parents and klutzes, some discretion is advised. …or you can look upward, wonder to yourself What Would Nathan Drake Would Do?, plot your climbing course, and go nuts. 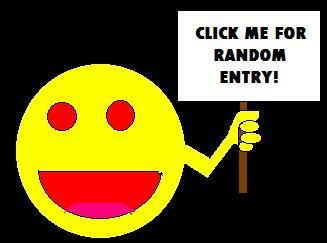 I don’t think it needs to involve graffiti, but that’s me speaking in my wizened fuddy-duddy capacity. 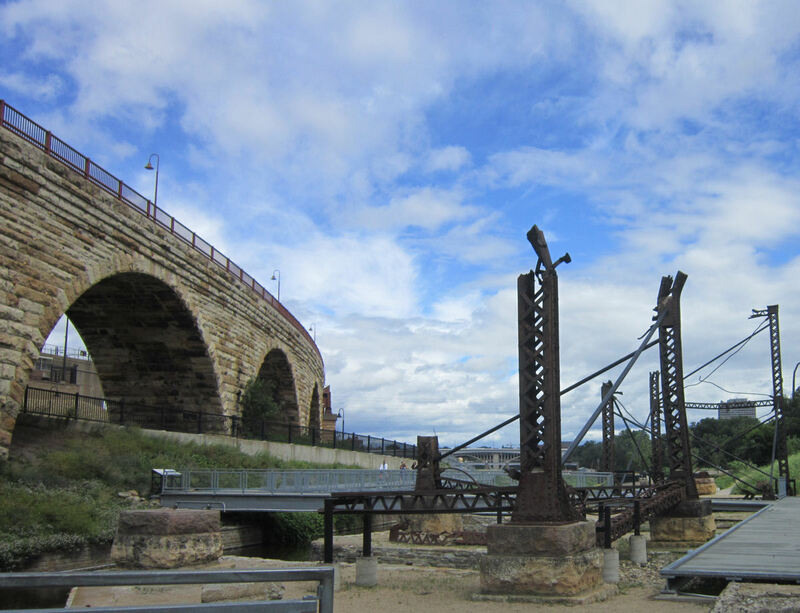 After the Park, the Bridge, and the River in general, we returned to the area nearer our car and walked a bit more. We struck up conversation with a father and daughter who both recognized the image on my Doctor Who shirt. We peeked into a place called Open Book, which I’d hoped was a full-service bookstore but was more of a workspace and social hub for local creatives. They had a tiny bookstore inside with a limited selection, where I recognized a James Jean art book and a few copies of Chris Ware’s Building Stories, but little else. Looked cool, but not really meant for casual shopping. We drove back to St. Paul for the evening, returned to the same general university area where we’d had dinner on Day Two, and hung out for a few minutes at Punch Pizza. 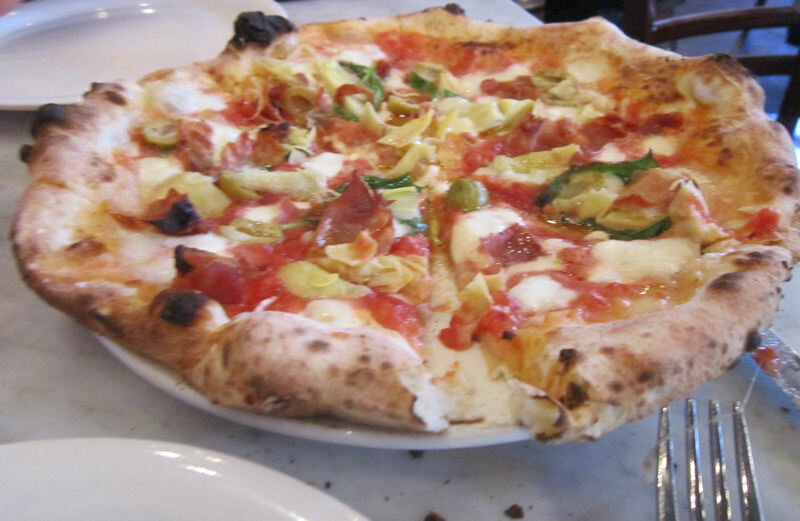 Our shared meal — topped with prosciutto, artichoke, and basil — certainly brought the flavors. Minor hitch: to avoid saddling ourselves with leftovers, we ordered so modestly that our pizza was small and thin and artisanally not-filling. Even if my wife had fasted and let me have the whole thing, I’d still be hungry. That was the fault of our strategy, nothing they did wrong. Besides, I totally have to give them props because our waiter recognized my shirt, too. Fortunately, within walking distance was another joint ready and equipped to solve our first-world problem. 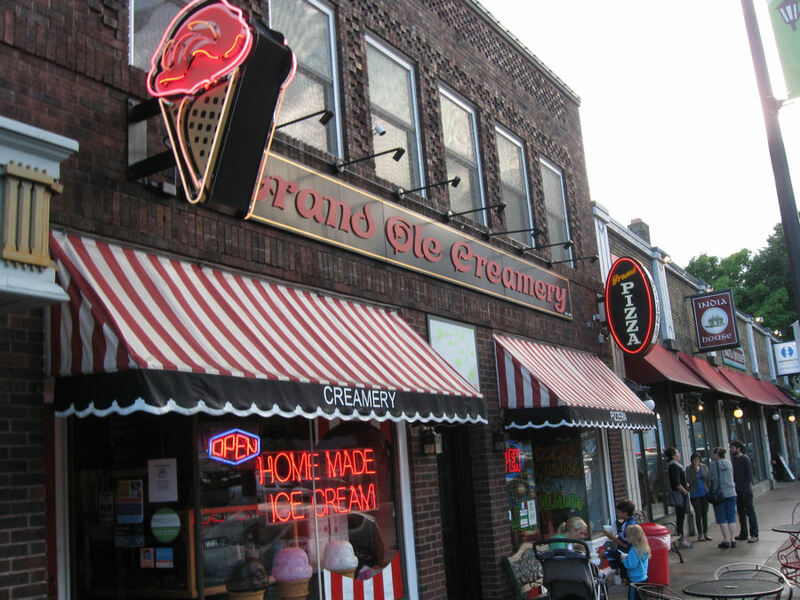 The Grand Ole Creamery is not the kind of place I should normally be entering, but this was vacation. It’s a local business with just two locations, so it’s not as though we were enabling yet another mass-market corporation. Besides, we were still famished and probably had leeway for a few more calories. 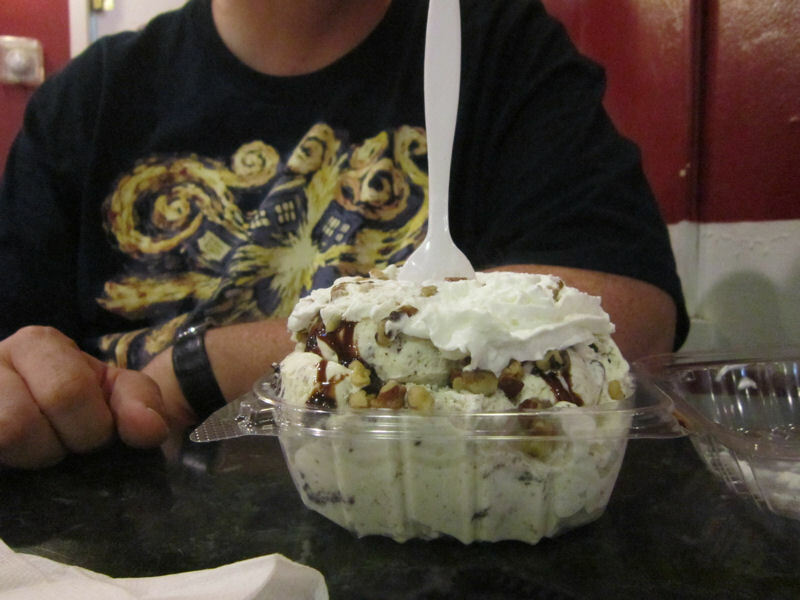 So this is me going overboard with an excessive amalgam of Oreo, coconut, and butter pecan ice cream that probably outweighed our pizza. And my wife treated herself to a dainty cone. In hindsight, perhaps we should’ve walked several more miles along the Mississippi in preparation. Lord knows by the end of Day Three I had enough sugar in me for a cross-country race. I’m lucky I didn’t wreck myself.